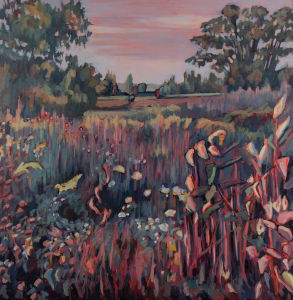 SOUTH HOLLAND, IL–The Art & Design Department of South Suburban College is pleased to present a solo exhibition entitled “A Passion for Landscape: Nina Weiss.” The exhibition will be on display in the Dorothea Thiel Gallery October 22 – November 20, 2018. An Artist Lecture and Reception will take place on October 25th in Room 4340 and Gallery from 12 Noon – 2:00 p.m. Artist Nina Weiss lives and works in Evanston Illinois. She has taught classes and workshops at colleges and art schools throughout the country and travels to Europe each summer to teach her European Landscape Painting and Drawing Workshops in Italy, France, and Ireland. She has been painting and drawing the landscape for over 30 years. Her work is represented by galleries and in private and corporate art collections including United Airlines, Aetna Insurance, McDonalds, Eli Lilly, and Avon. Her work has been included in Hollywood films and television shows such as “Chicago Fire” and is licensed in prints and posters. Exhibitions include the New York Art Expo, Koehnline Art Museum, J. Petter Galleries, The Art Center Highland Park, Union League Club and more. Weiss’ publications include the books “100 Artists of the Midwest,” “Artists Homes & Studios” and “The Chicago Art Scene.” Her videos include two instructional painting videos for the Craftsy Company, and Prismacolor. Visit ninaweiss.com or learn about Weiss’ workshops from artendeavors.org. The Dorothea Thiel Gallery is located on the fourth floor and is open Monday through Friday from 9:00 a.m. – 4:00 p.m. The galleries are closed on weekends and holidays. The galleries are supported in part by the SSC Foundation. SSC is located at 15800 South State Street, South Holland, Illinois. For more information contact (708) 596-2000 ext. 2316. 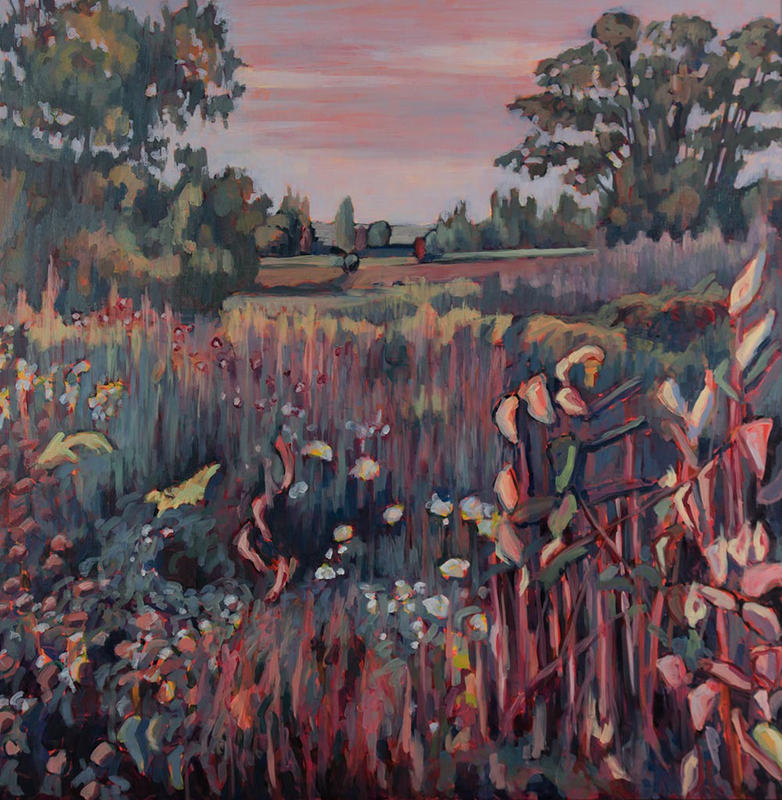 Pictured: “Deep Prairie,” media oil on canvas by Nina Weiss with her solo exhibition coming to South Suburban College through November 20th.